Hunchy is a locality in the Sunshine Coast, Queensland, Australia. At the 2011 Australian Census the suburb recorded a population of 524. Hunchy is in the foothills of the Blackall Range and was first called Hunchback. There is farming within the area with crops such as pineapples, lychees, macadamias, mangoes, bananas, citrus, avocados and a small quantity of coffee beans grown. Some of the older settlers trialled Shiraz grapes in the region but it did not rate in James Halliday's Wine Companions. Livestock include cattle, alpacas and honey-bees. ^ a b Australian Bureau of Statistics (31 October 2012). "Hunchy (State Suburb)". 2011 Census QuickStats. Retrieved 13 October 2014. ^ "Hunchy - locality (entry 48674)". Queensland Place Names. Queensland Government. Retrieved 26 June 2017. ^ https://library.sunshinecoast.qld.gov.au/Heritage/History-by-Locality/Town-Histories/Eudlo-Hunchy-Dulong. Sunshine Coast Council. Retrieved 07 March 2017. ^ Palmwoods. Queensland Places. Centre for the Government of Queensland. Retrieved 13 October 2014. 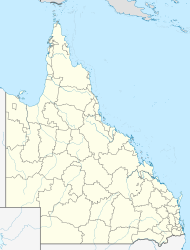 This article about the geography of the Sunshine Coast, Queensland is a stub. You can help Wikipedia by expanding it.